College football and basketball are multi-billion dollar industries predicated on the unpaid labor of student-athletes. These “student”-athletes are allowed to schedule their classes around their athletic schedules. A recent FBI investigation into NCAA basketball revealed a Byzantine system for paying players, implicating some of the most high-profile coaches in the sport. Even people who defend the NCAA do so on the grounds that not paying athletes is necessary for the continued prosperity of collegiate athletics — which is not so much a refutation of exploitation, as it is a tautology in favor of it. 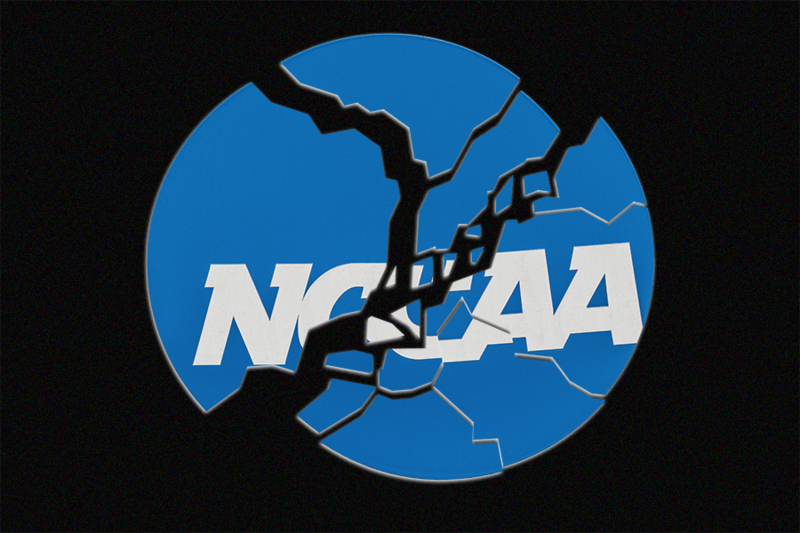 Taken together, it’s led many to believe that the only way to save NCAA athletics is to dismantle the NCAA altogether. Among the foremost proponents of this scorched-Earth policy: Famed sportswriter Buzz Bissinger. Enough is enough! Dismantle the NCAA, Pay the players, and give us back EA Sports NCAA Football! The first time I heard the argument for dismantling the NCAA was six years ago, when Bissinger, the author of Friday Night Lights, and fellow New York Times bestselling writer Malcolm Gladwell teamed up for a two-on-two debate against professional bloviator Jason Whitlock and former NFL defensive end Tim Green. The debate was ostensibly about the dangers of head trauma in football, and how the sport causes a host of degenerative neurological conditions later in life. But Bissinger used the platform to argue for the dissolution of NCAA football completely. Major college football is so large, and demands so many resources, that it inevitably detracts from the university’s academic position, he argued. Not to mention, eliminating the current system also would get rid of the charade of amateurism in college sports and allow players to get paid. Yet, the implementation of college sports without the NCAA hasn’t found nearly as much consensus. Bissinger admits that his idea is convoluted, but it does alleviate some of the fears people have about paying college players. While many fans believe college players should be paid in theory, they fear that paying players will inevitably lead to the creation of a minor league system that’s totally disconnected from their beloved universities. Bissinger’s is a kind of best-of-both-worlds scenario — players get paid, and fans still get to root for their alma mater. And it’s not so much a change to the current system, as it is making the current under-the-table dealmaking transparent. I hope today finally shows what a farce & fraud the NCAA is & how they've turned a blind eye for decades. Time to dismantle the NCAA. There is a worry that this will create a caste system, where only the most successful schools can afford good players. But this, too, is no different than the current NCAA system, Bissinger says. Name-brand college football and basketball programs — the Texases, Michigans, Ohio States, Oregons, North Carolinas and Dukes of the world — already have enough money and name recognition to lure the best recruits, and pay for the best facilities and coaches. Like I said, a total joke.